So you want to find a pen pal and write some letters but, where do you go to find a pen pal? It can be hard knowing where to start – give a google search and you might find a lot of results but seeing so many sites can be overwhelming and let’s face it, some are better than others. I get comments sometimes from people asking about where they can find pen pals so this seems like a topic worth writing about. Obviously this isn’t all that there is out there, but I’ve compiled a list of places where I’ve either found pen pals or swaps. Hopefully it’s of use to those of you out there who are interested in finding pen pals. Warning: this will be a pretty long and wordy post! I think this site is where a lot of people start. The tagline of the site is “send a postcard and receive a postcard back from a random person in the world!” and that pretty much sums it up. You click on ‘send a postcard’ and get given the address of another member on the site, along with a postcrossing code to write somewhere on the card. Pick out a postcard, write a brief message and send it off. When the postcard arrives at its destination, the person registers it using the code you wrote on it and then your address is given to a random person somewhere in the world who clicks that ‘send a postcard’ button. You can fill your profile out with as much or as little information as you like (but it’s always good to tell others a bit about yourself so they can personalise their messages to you) and the only people who see your address are those who are sending you a postcard. The great thing about Postcrossing is that it’s free to join and you can send postcards as often or as infrequent as you like, it just depends on your mood and your budget. If you don’t want the commitment of a pen pal but still want the joy of sending and receiving mail, Postcrossing is the place to go and I recommend it to everyone. Postcrossing also as a forum where you can chat to people, participate in specific swaps (say you want a postcard from a particular country) and even find pen pals. I myself found pen pals through the Postcrossing forums. Swap-bot is a site that facilitates group snail mail and internet swaps. Swaps are run by various members of the site and you can find a wide range of swaps from simple email swaps with no cost to postcard swaps with minimal cost to craft swaps that take time and ones where you could be spending €20 on a present for your swap partner. Many relate to sending postcards, craft supplies or artist trading cards but obviously there are many other types of swaps and with the variety there is, you’re bound to find something to suit your interest. Swaps fall into three categories; electronic swaps, flat mail swaps and craft/package swaps and the number of swaps you’ve taken part in and the type are kept track on your profile for everyone to see. The site runs on a rating system so when you send a swap item and it’s received, your swap partner gives you a rating out of 5. Swap coordinators often use your rating and the number of swaps you’ve done as a factor for if you can participate in a swap or not in order to ensure that there are no ‘flakers’, people who sign up and get a partner but never send anything. This is especially the case for more costly and time-consuming swaps. You don’t want send spend €15 on something for your swap partner only to not get anything in return! It might take time to build up your swap rating, preventing you from taking part in the more costly swaps but there’s still plenty of others on the site and even groups to help beginners. Oh, also, it’s free to join the site and the only people who see your address are those who are sending you items as part of a swap. There are specific swaps on Swap-bot for getting pen pals but these are swaps so you’re just given a random person to send a letter too who you may or may not have things in common with or who is a very different age to you. This way of finding pen pals might not be everyone. It is possible to find pen pals in other ways though. I found a pen pal on swap bot because she was my partner for a snail mail flip book swap. She enjoyed what I sent so much that she messaged me on the site afterwards wondering if I was interested being snail mail friends. With many things in life, sometimes it just helps to ask! IGGPPC is a great site for all ages and is free to join. When you join, you can select a house (age groups; 13-17, 18-22, 23-29 and 30+) and along with there being a forum for everyone, each house has a forum. Usually once a month, you can register for a pen pal with the site. Basically, you fill out a form with some information about yourself including what house (age group) you’re in and a few of your likes and you get paired up with a suitable partner. You only get given each others emails and it’s up to you to contact your partner. Depending on how both of you feel, you can remain email pen pals or else chose to exchange addresses and be snail mail pen pals. It’s up to you. If it’s not the right time of the month to register for a pen pal but you still want to find one, you can try look in the Pen Pal section of the forums where people often write posts looking for pen pals. I’ve found a few using the forums on IGGPPC. If it’s not pen pals you’re looking for but still want some snail mail fun, there is a swap forum where people create various types of swaps. Swaps on IGGPPC don’t work on the same system as swap-bot, there’s no rating system so you’re somewhat less accountable to the online community as a result. I’ve participated in several good swaps on IGGPPC but I’ve also participated in one where I never got anything so I would say there’s a bit more risk in IGGPPC member hosted swaps. Pen Pal World isn’t strictly for snail mail, just finding pen pals. It is, however, quite easy to find other people interested in snail mail on the site and it’s where I found my first handful of pen pals. The site is free to join and create a profile on, although there is a VIP paid option. With a free membership you can read the last three messages sent to you, send three messages and leave 10 profile comments a day which is more than enough really so I don’t see much point in parting with your cash. It’s quite easy to find people with the same interests as you who could become potential pen pals, email or snail mail. There’s a search members option and you select different age groups, countries and gender. In the advanced search you can also search for keywords mentioned in their profile. Often I’d type ‘snail mail’ in here to try find people who had mentioned it on their profile. If you find someone who fits what you’re looking for, either leave them a quick comment asking if they’d be interested in being friends or send a more detailed message and if the other person is up for that, you can exchange emails to continue the conversation (the best option for if you’re on a free account because of the message limits). The benefit of finding pen pals through Pen Pal World – it’s entirely up to you who you share your email or address with. Interpals is specifically a language exchange site where you can find pen pals who speak the language you’re learning. Obviously you can talk with everyone but if you are learning a language, it really helps to have someone to talk to in it. You can search for people of your age, from a certain country or who speak a certain language and either leave a comment on their page or message them, or else you can head to the extensive forums the site has. There are forums for all different topics like books and literature, film, science, politics, travel and more. There are also specific language forums as well where you can practice a language and find learners and native speakers. Interpals has a good messaging system so even if you didn’t want to exchange emails or addresses, it’s still easy to chat with people. Now, it might just be but I have some mixed feelings about Interpals. It can be a good site and I found one of my best snail mail pen pals on the site because at the time I was learning Dutch and she wanted to know why so she messaged me and we got talking (she’s from the Netherlands). However, shortly after we started writing letters to each other, I stopped using the site because I just kept getting too many messages from Arab guys inappropriately hitting on me and asking if I needed a boyfriend. You can block people and countries (eventually I ended up blocking Turkey and Morocco because that’s where a lot were from) but there were too many weird guys from too many countries so I stopped using the site. That was about a year ago and maybe things have changed since then but that’s just my experience. Well, I can’t link anywhere specific for this one but finding pen pals via blogs is also possible. I’ve made several either via my blog or theirs. Sometimes, a blogger will mention in a post they write that they’re looking for new pen pals. If they do and if you want a new pen pal, don’t be afraid to get in contact with them. Alternatively, you could put a call out on your blog – maybe some of your readers would like to become your pen pal. I mentioned just recently that I’d like to try find some more pen pals and within 24 hours had two new friends! Even if someone doesn’t mention specifically that they’re looking for pen pals, if you know they’re interested in snail mail and maybe have been chatting to them a bit, it can’t hurt to ask. They just might say yes to you. 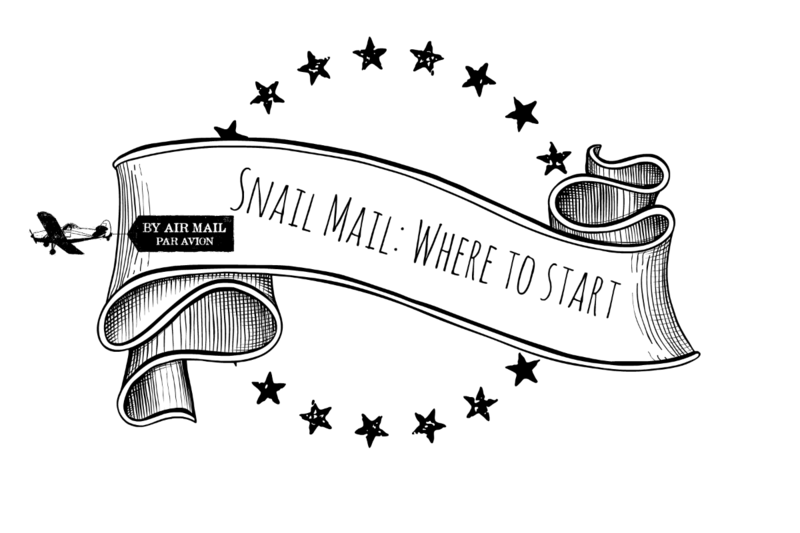 Search the ‘snail mail’ tag on the WordPress reader, try find some bloggers out there who are interested in snail mail and see where it goes. I’ll say again, don’t be afraid to ask and put yourself out there! A semi blogging related pen pal tip: if you win a prize, send a thank you note! I have one pen pal(you know who you are) because she won a giveaway I did on my blog and sent a thank you note back along with some goodies. Of course I loved everything so much I had to send a thank you note back with some more nice things. We almost had a thank you note cycle going but instead we decided to become pen pals and actually write each other letters. The moral…friendships can form from unusual circumstances? Or something like that I’m sure. Sometimes, you can’t predict where and how you’ll make pen pals but I’ll attribute that one to my blog in some way seeing as it was thanks to a blog giveaway! Okay, this is a bit of a cheat, I haven’t actually found any pen pals via Facebook because I don’t actually use Facebook (yes, yes, we non-Facebook users do exist). But despite that, I figured I’d add it to my list anyway because I know some people do find friends through it. There’s probably a ton of groups out there dedicated to snail mail. I’d like to link you to some but as I said, don’t use the site so I can’t help you too much! Ever just spend too much time looking at all those pretty pictures that people post of their mail? I know I do but look, if they’re posting loads of pictures of their mail, they’re obviously interested in snail mail! There’s your start. Some people will mention on their profile if they are or aren’t looking for pen pals. If they are and they seem interesting, why not message them and see if they’d be interested in writing letters with you? Instagram doesn’t seem like the obvious place to find pen pals but I’ve got a snail mail pen pal I met via Instagram because she saw me posting pictures of my mail and decided to ask if I wanted to become pen pals so I said yes. You might get lucky and have people ask you like I did but don’t rely on that. Instagram’s a busy place so you’re likely going to have to put yourself out there and ask them. My final place to mention for finding fellow snail mail enthusiasts – why not try ask some of your friends and family? Maybe you’ve got some friends and family who live far away and while you might keep in contact via Facebook, that doesn’t mean you can’t also take some joy in sending them a ‘thinking of you’ card every once in a while. Even if they don’t send anything back, there’s something extra nice about letting someone know you care about them the old-fashioned way. Which feels more special, a ‘happy birthday’ message sent on Facebook (probably because Facebook reminded that person) or a birthday card that’s been posted too you? Who knows, maybe sending a surprise card to that friend far away might spark something and you’ll start sending each other cards and letters more regularly! And that’s where I’ll end this post. These are the places I can think of to find pen pals, most of which I have used to find friends! I hope that this has been an informative post and not just a very long one. If you have found this list useful, do let me know and feel free to share some stories of how you’ve found pen pals! I will look into it, their is so much to look into and as to what I might prefer. But thank you, for going in depth about each of them. I am happy to be connected with you, through WP. Glad my post was of help to you, I hope you have fun sending postcards around the world – it can be quite addictive! I’ve never tried any paid service. I did look at them when I first wanted to find pen pals but I guess I’m a bit of a cheapskate and gravitated towards free sites instead! I’ve never participated in the tags on Postcrossing, just found pen pals, but ya, I can image not receiving things would be a problem – the same issue I had with IGGPPC swaps. I hope this get’s you a couple more pen pals because you are the best pen pal I have!! Ya, those creepy guys can be everywhere and on any website really, which is a shame because they can just make internet life annoying. A small few ruin it for the rest of us – that’s the case in a lot of things isn’t it? I must say I have been lucky not to get the ones from jail. I have a friend who is always getting mail from creeper’s in jail, it’s good for a laugh. Wow, that’s creepy! Thankfully I just have creeps on the internet who are easy to block! Emma thanks for this info. Thanks to you I have just posted my first postcard through Postcrossing. Its on its way to Russia.! Thank you so much for the help😊 I’ll let you know how I get along! This is a brilliant post!! I’m tempted to link people to this whenever they ask me for pen-pal-finding tips 😀 I’m glad I’m not the only one who has had mixed results with IGGPPC swaps, haha! I had very bad luck two times in a row with swap partners not participating to the same extent as I did, so I gave up. It’s a great way to get matched with pen pals, though! If it can be of use to people, I’m happy! I know when I was first trying to find pen pals I had no clue where to start. I just spent to long googling sites! 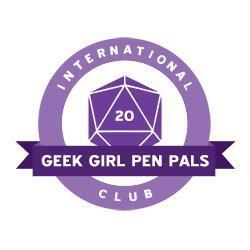 Ya, IGGPPC, great for pen pals, not so good for swaps! Maybe the few official swaps they do are better than the member hosted ones but I’ve never done any of them – always seem to miss the deadlines. I definitely think it’s better to stick to Swap-bot for swaps because there’s much more accountability on the site.